FLORHAM PARK, N.J., Dec. 18, 2017 /PRNewswire/ -- "The Triangle" in North Carolina is home to one of the largest technology research and development parks in the world, and it's about to get even bigger. In an announcement by Gov. Roy Cooper today, Conduent Incorporated, (NYSE: CNDT) the world's largest provider of diversified business services, will open an all-new global technology and innovation hub in the greater Raleigh area, bringing 200 new full-time jobs to the renowned Research Triangle. 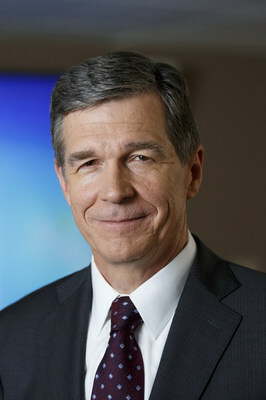 "North Carolina offers a deep pool of talented workers that attracts global technology companies," said Governor Cooper. "Conduent's decision to select the Research Triangle is the latest example of how investing in a highly-skilled, educated workforce pays off for North Carolina." "As a technology-led business that serves Fortune 500 companies and government entities around the world, being a part of this dynamic area with such a storied history in innovation is the right move for our clients and our people," said Ashok Vemuri, chief executive officer, Conduent. "The Research Triangle will provide access to a new professional labor market focused on technology, innovation and research. We are honored to have the support of Governor Cooper to bring even more future-looking jobs to the great state of North Carolina." Conduent already has strong ties to North Carolina, with more than 5,500 jobs held within the state – more than any other in the U.S. - with locations in Raleigh, Cary, Charlotte, Durham, Morrisville and Henderson. The new global technology and innovation hub will be located in an office park in Morrisville, N.C., within Research Triangle and is slated to open in March, with hiring starting in 2018. Additionally, Conduent will receive state-sponsored job growth and development incentives totaling approximately $2.1 million, including the Job Development Investment Grant and North Carolina Community College System's Customized Training Value incentive. These performance-based programs will help Conduent expand more efficiently, and hire and train its new employees more strategically. Conduent (NYSE: CNDT) is the world's largest provider of diversified business services with leading capabilities in transaction processing, automation and analytics. The company's global workforce is dedicated to helping its large and diverse client base deliver quality services to the people they serve. These clients include 76 of the Fortune 100 companies and over 500 government entities.